Dressed in a black coat with a grey shirt and sporting a moustache, this mature version of Salman is the talk of the town. 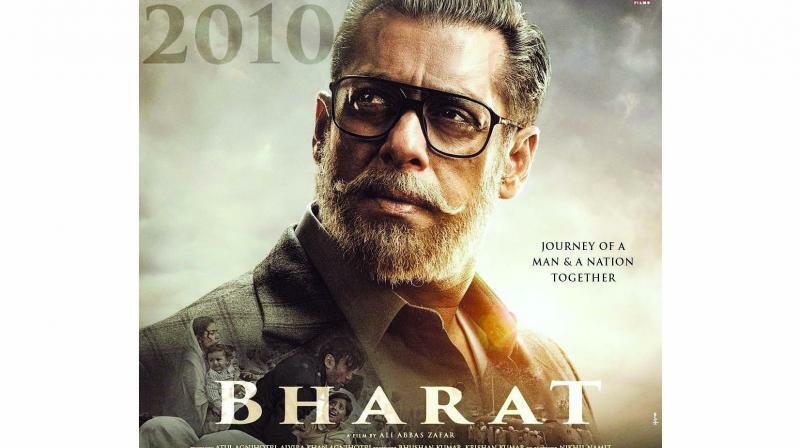 Ahead of the trailer release of the much-awaited film Bharat, actor Salman Khan has revealed the first look of himself from the film, which looks rather interesting. Bharat, which is a remake of the Korean blockbuster Ode To My Father traces the journey of a man from the time of India’s independence to the present day. Directed by Ali Abbas Zafar Bharat also features Katrina Kaif, Disha Patani, Sunil Grover, Tabu and ‘Dilbar’ girl Nora Fatehi. The trailer is scheduled to release on April 24.